The phrase "Martial Arts" is used for various fighting methods that evolved from ancient Asian combat skills. The present-day forms have a wide range of applications. These forms are practiced for physical fitness, recreation, self-defense, law-enforcement tactics, competitive sports, and positive self-development. 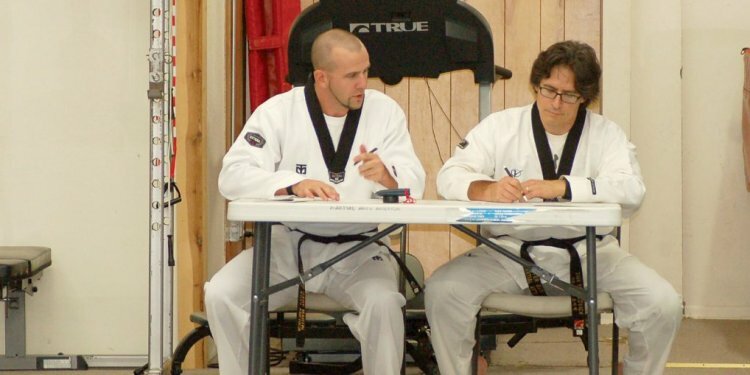 The teaching methods, selection of technique, style, procedures of play or practice, and underlying concepts vary according to the form and instructor. Even in a single specialized branch of Martial Arts, differences in style, techniques, attitudes, and objectives exist. Despite expressed adherence to ancient tradition in the Martial Arts, adaptation to new situations and different cultures is common. There is a little agreement about the origins and history of the Martial Arts. Records-dating from at least 2, 000 BC-of similar fighting methods existing throughout the world have been discovered, but the Asian styles are generally acknowledged to have come to China from India and Tibet, where they were used by monks for exercise and self-defense. From China the Martial Arts spread to the rest of Asia, reaching Japan last because of its geographical isolation. Although Japan was among the last of the Asian countries to acquire knowledge of the Martial Arts, they flourished there. In the Tokugawa era Martial Arts training was reserved for warriors serving feudal lords and was forbidden to peasants, who practiced in secret. Because of the secrecy and illegality, legend and myth flourished along with the cultic practices. During the nationalistic period before World War II, Martial Arts were incorporated into Japan's military training programs. Practice of Martial Arts was banned after the war until the mid-1950s, when they were legalized and reinstated in physical education classes. Hundreds of names exist for different styles and specialties of the Martial Arts. All weaponless Martial Arts methods consist of one or more of the following: hand strikes (using the fist, knuckles, fingertips, or the side or palm of the hand); arm strikes, blocks, and parries (using the wrist, forearm, and elbow); foot strikes (using toes, instep, ball, side, or heel of the foot); knee kicks; throws and takedowns; grappling and immobilization (holds, locks, chokes, and escapes). Weapons are used in some Martial Arts, alone or in conjunction with weaponless techniques. Weapons include stones, ropes, handles, chains, sticks, staffs, swords, spears, lances, bows and arrows, and thrown cutting objects.